When a routine Cold War operation went terribly wrong, two planes and seven men died, a village got contaminated and a hydrogen bomb disappeared. The search and cleanup required 1,400 American and Spanish personnel, a dozen aircraft, 27 U.S. Navy ships and five submarines. It cost more than $120 million and a lot of diplomatic capital. And it made an obscure 18th-century mathematical theorem a practical solution to finding veritable needles in haystacks. This story originally appeared on April 20, 2015. Around 10 A.M. on Jan. 17, 1966, two B-52Gs of the 31st Bomb Squadron based out of North Carolina approached two KC-135 tankers over the Spanish coast southwest of Cartagena. The bombers each carried four 1.5-megaton B-28 hydrogen bombs as part of Operation Chrome Dome, a U.S. deterrence mission that placed nuclear-armed bombers on the Soviet Union’s doorsteps. But when one B-52 approached its tanker too fast, it received no warning and they collided at 31,000 feet. The tanker’s boom tore a longeron flap off the bomber, and the B-52*’*s left wing broke off. Three of the B-52’s seven crew members died in the crash. The resulting breakup destroyed the tanker in a fireball of blazing jet fuel. All four crew on board the tanker died. One hundred tons of flaming wreckage fell upon the arid hamlet of Palomares, near the Mediterranean Sea. Three of the four H-bombs aboard the bomber fell there, too. Within 24 hours, a U.S. Air Force disaster team arrived from Torrejon Air Base near Madrid. Specialists from the Los Alamos and Sandia weapons labs — and Air Force logistics units — descended on the tiny rural town. The search teams found the three H-bombs within a day. One landed on a soft slope, its casing relatively intact. The high explosives within the other two bombs detonated on impact, blowing 100-foot-wide craters in the dry soil and scattering plutonium, uranium and tritium across the landscape. The region’s long history of human habitation complicated the land search. Almeria, the province where Palomares sits, hosted a mining industry for more than 5,000 years. Countless mine shafts, diggings and depressions pepper its dry landscape made famous by the spaghetti westerns filmed there. For several weeks, American troops and Spanish police searched the area with radiation detectors, but failed to find the fourth bomb. Eyewitness accounts claimed something on a parachute fell into the sea. The U.S. Navy moved a fleet tug to the Spanish coast within eight hours of the accident. 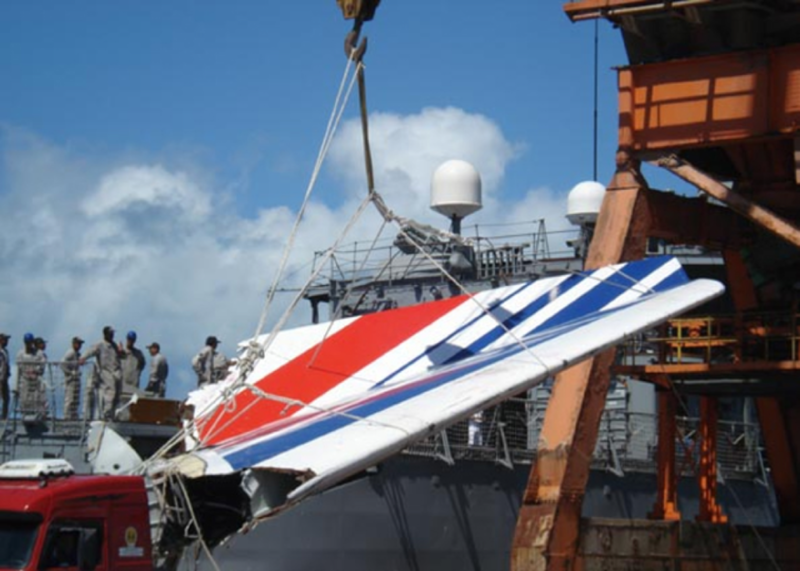 Five days after the crash, the Air Force officially asked the Navy for help finding the missing bomb. The Navy tapped one of its resident wizards for the task. John Piña Craven looked the part and delivered the goods. Handsome, brilliant and accomplished, he studied engineering and hydraulics at the California Institute of Technology and the University of Iowa after his decorated service in World War II. Upon his return to Navy service as a civilian scientist, he fixed a structural problem with the nuclear-powered USS Nautilus and oversaw the Polaris sub-launched ballistic missile program. After the loss of submarine USS Thresher in 1963, the Navy put Craven — now head of its Special Projects Office — in charge of deep-sea rescue and salvage research. Three years later he had to find the missing H-bomb … and quickly. The Soviets would surely hunt for the weapon, and the White House poured on the pressure. Pres. Lyndon Johnson rejected the Navy’s assurances that the bomb was lost at sea forever. But finding an object the size of a kayak in hundreds of square miles of poorly-mapped sea bottom seemed close to impossible. Palomares fisherman Francisco Simo Orts noted where the parachuting object fell. But Navy experts dismissed his account based on their own calculations of the bomb’s descent. After weeks of fruitless undersea search by divers and sonar, Craven turned to the wizardly world of mathematics. An obscure 250-year-old probability theory might work. In an unpublished manuscript dating to the 1760s, the English minister and statistician Thomas Bayes first proposed the idea that bears his name. 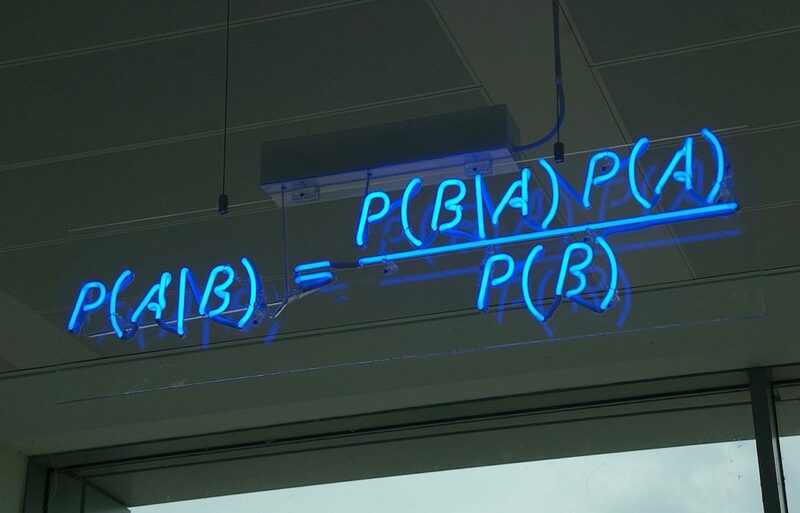 Bayes’ Theorem mathematically describes how “by updating our initial beliefs with objective new information, we can get a new and improved belief,” according to science writer Sharon Bertsch McGrayne. Craven realized Bayes’ Theorem could improve the search team’s beliefs about where the missing bomb was. He first ordered up a detailed map of the sea bottom off Palomares, then asked his salvage and search experts to place bets on every possible event that could have occurred during the bomb’s fall. The bomb had two parachutes — what were the odds that one opened? That both opened? That neither did? What were the odds it fell straight into the water? What if it fell at such-and-such an angle? Craven’s team explored hundreds of possibilities and calculated the probabilities of each one. The calculated probabilities put the bomb’s location in many different places off shore. Craven’s mathematicians then calculated the likelihood of each proposed location based on the initial round of bets and assigned probabilities to each location. Essentially, the mathematicians quantified their beliefs about where they thought the bomb went, based on the scenarios they worked out. They finally mapped their beliefs onto the ocean floor. This “probability map” indicated the most promising places to search for the lost bomb — but those places lay far from where conventional search techniques said it was. The scientists’ bets indicated the bomb was nowhere near the planes’ wreckage. The Navy sent down the research subs Alvin and Aluminaut to check the locations, but their searches turned up empty. Craven’s wizards recalculated their odds based on the new search information. More time passed. After the White House received Craven’s latest report, Johnson demanded a group of “real experts” work the problem. But after reviewing Craven’s report, an expert panel from the Massachusetts Institute of Technology and Cornell University agreed that Craven’s weird method was the best available. Meanwhile, Orts’ testimony received a fresh look. Invited aboard the minesweeper USS Pinnacle, the fisherman directed the ship to a spot where sonar picked up a promising signal. It lay right on top of a high-probability patch on Craven’s latest recalculated map. Descending to the seafloor 2,550 feet below, the Alvin found a parachute covering a cylindrical metal object. The submarine attempted to grab it, but the attempt failed and the bomb slid away into the deep. 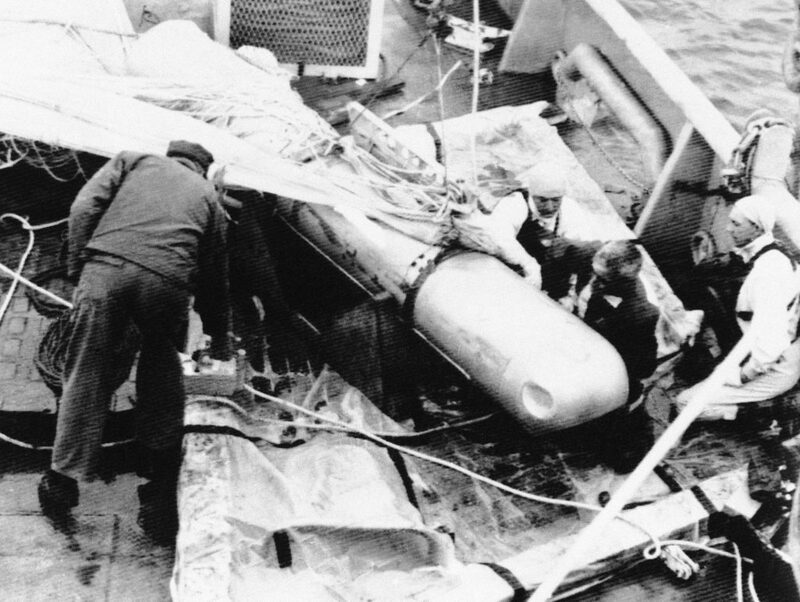 Three weeks later, an early-model remotely-operated submersible relocated the bomb but entangled itself on the parachute. Risking everything on one operation, controllers brought the submarine and its entangled bomb up to the surface together. Two years after the Palomares incident, Craven’s team applied Bayesian search techniques to once again hunt for a lost object — the nuclear submarine USS Scorpion. The sub sank with all hands off the Azores on or around May 21, 1968. Once again the mathematical wizardry confirmed a kind of “ear-witness” information — this time in the form of underwater hydrophone recordings of the sub’s breakup as it fell below crush depth. Craven’s unorthodox technique proved itself again and again during the following decades. In 2009, Air France Flight 447 traveling from Rio de Janeiro to Paris crashed into the mid-Atlantic and sank more than two miles under the surface. French investigators searched for two years without finding the wreckage. Finally, the investigators turned to the American consulting firm Metron. The firm applied Craven’s method to the entire search effort to date and assigned probabilities to events, scenarios and locations. Metron analysts took data about flight dynamics, aircraft performance, local winds and currents … and assigned odds to them. Then they repeated the procedure with data from previous searches for AF447 and used Bayes’ Theorem to update their beliefs about where the crash occurred. Sure enough, the new odds pointed to a location the investigators had previously overlooked. A week later, search teams recovered the plane’s black boxes from two and a half miles down. But Bayesian search techniques require at least some good data to work with. For the ongoing hunt for missing Malaysian Airlines Flight 370, there’s little to work with. Almost anything is believable. That is, almost anything — you can’t really place bets on alien abductions or black holes. With no witnesses, no debris and a search area in the least understood part of the world’s ocean, there’s little even mathematical wizards can do. But even then, few thought 50 years ago that the lost bomb of Palomares would ever turn up.